(MissionNewswire) Thanks to donor funding through Salesian Missions, the U.S. development arm of the Salesians of Don Bosco, the Don Bosco School in Minga Guazú, Paraguay will have an improved library for students and the entire educational community. The school provides quality education to more than 1,200 students in all levels including nursery school, preschool and first through ninth grades, as well as scientific and technical education. 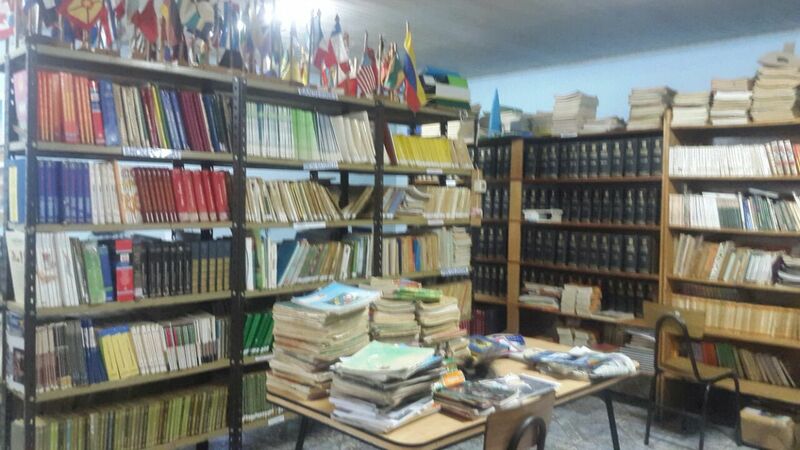 The school’s library facility, books, furniture and resources are outdated and inadequate for students and teachers. Students will benefit from access to the internet where information is current and more readily accessible. The library also lacks updated materials for teachers to help them in their lesson planning and education for students. The environment is less than ideal for students and teachers to come together and focus on research and studying. The donor funding will provide facilities improvements to the library including comfortable furniture and work spaces for students, as well as computers. Funding will also be provided to update books, resource materials for students and teachers, magazines and other reading materials. This includes new children’s and youth literature, which the library has not had before. The library will be an essential part of the Don Bosco School. Students will be able to access additional reading and materials to accentuate their classroom education. The space will serve a quiet place for students to study and connect with teachers who can provide them extra help. Once fully updated, the library will be used to its fullest potential as a center for the entire educational community. Salesian Missions publishes special projects like this on its websites for interested donors. To view the projects currently in need of funding, visit www.salesianmissions.org/projects.